With the winter cape firmly back in vogue, there have never been so many styles and designs available. You could opt for the stunning shawl cape, a fur gilet, a wrap cape, blanket cape or the ever popular cape coat. Capes come in a fabulous range of colours and materials, with luxurious wool guaranteed to keep you cosy, so there really is a cape out there for everyone. A cape can complement your favourite winter outfit, or it can become the outfit itself. Try a gorgeous black wool cape with skinny jeans and stylish boots, or a camel coloured cape with print leggings and flat boots. For an alternative look, you could invest in a chiffon cape dress or a plain back cape dress with high heels, perfect for Christmas parties.Topshop also have a highly popular range of Kate Moss designed sequin cape dresses. 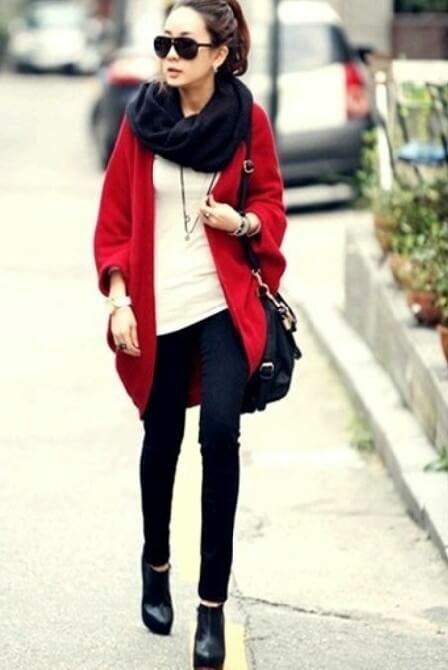 Capes are wonderfully versatile and can be dressed up or dressed down for any occasion. These gorgeous range of coats are perfect for keeping yourself warm and cosy in ultimate style. Some of the most stunning styles available include Karen Millen’s signature wool investment cape complete with fur collar, the Warehouse camel cape or funky Aztec cape for an alternative and informal look, perfect for shopping with friends. There is a cape style out there for everyone, and it’s important to choose the right style to make the most of your figure. 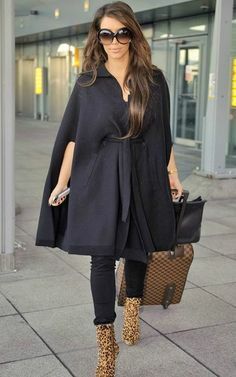 Capes are perfect for every body shape; if you have a slender figure, then you can complement any style of cape with skinny jeans and boots. If you don’t want your body shape to get lost underneath the cape then opt for a belted cape coat, which will make the most of your waist. Ladies who are plus sizes will look fantastic in longer capes with trousers and heels underneath. Many celebrities also use capes as a fashion statement as part of their maternity wardrobe. The cape is a true essential for your winter wardrobe – it’s versatile, can be dressed up or down, and is a fantastic fashion statement in its own right. To stay warm and look your very best this winter, get shopping for your cape today!